The Walking Dead is heading to war in season eight this fall, and it looks like there are going to be more moving pieces in the new season than ever before. 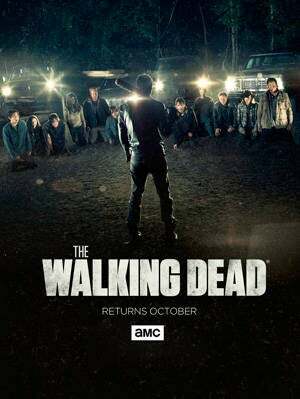 It has just been revealed that AMC will promote three supporting characters to series regular status in the new season. According to Variety, Steven Ogg, Katelyn Nacon, and Pollyanna McIntosh have all been promoted ahead of production on season eight. That means their characters will play a major role in the story, and they will be featured in the opening credits. So, you'll see much more of the characters Simon, Jadis, and Enid in season eight. Simon is the quick-talking Savior who had been dealing with Hilltop for much of season seven, Enid is Carl's love-interest and aide to Maggie, and Jadis is the odd leader of the Scavengers, who turned on Rick in the season finale. The actors will replace the likes of Sonequa Martin-Green, Steven Yeun, and Michael Cudlitz as series regular cast members, following their departure. The Walking Dead will return for its eighth season in October of 2017. The first trailer will arrive at San Diego Comic Con in July. For complete coverage and insider info all off-season long, follow @BrandonDavisBD on Twitter.